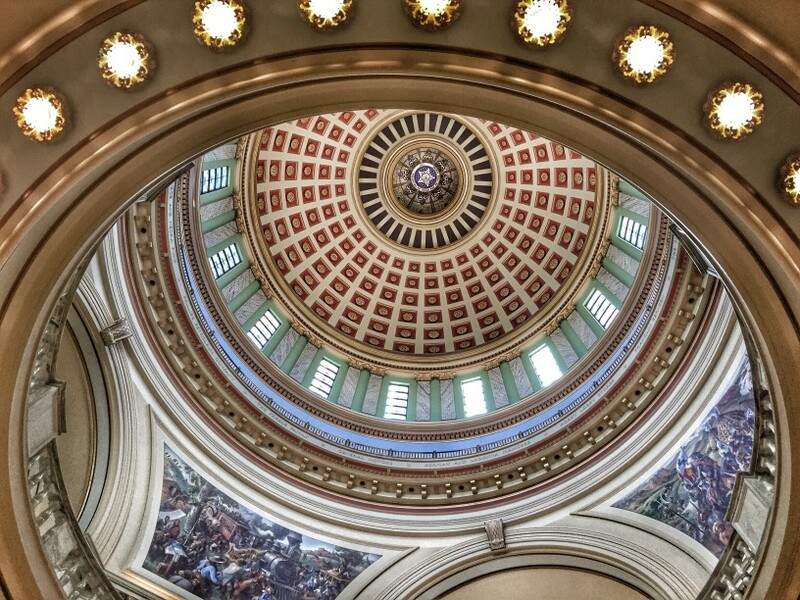 All public policy students should take at least one digitally-minded class. Just do it – we promise it'll be worth it. 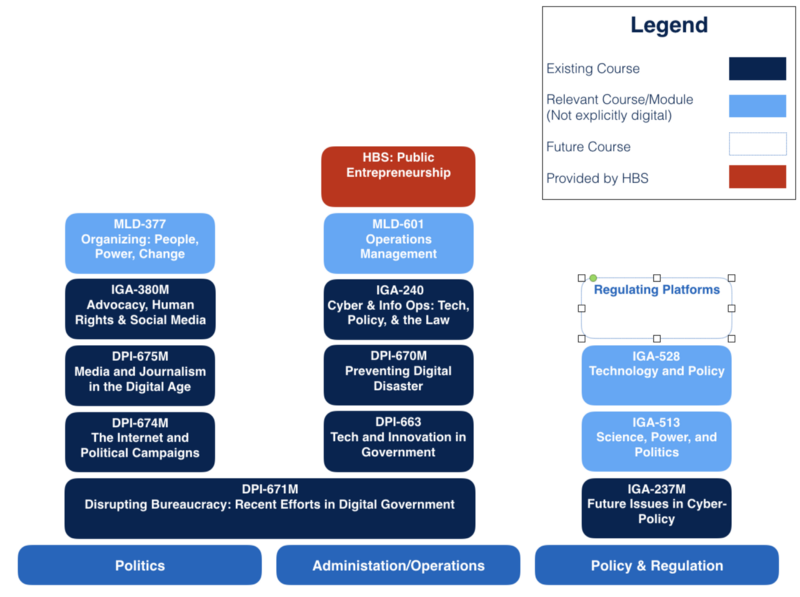 This post is still part of the Teaching Digital at HKS: A Roadmap series, but is specifically designed to encourage incoming Harvard Kennedy School students to take at least one digital-focused class?—?and to explain why they matter. 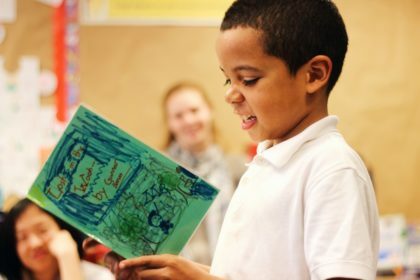 So let’s start from the bottom looking up focusing on some core areas all students should cultivate some knowledge and understanding. (Note: I’m going to ignore agile approaches to policy development and program delivery for now?—?although we do cover it in DPI-662). In this view a number of courses immediately spring into view as relevant. My goal for DPI-662 is not to do a deep dive and create experts, but rather to provide students with a sufficient understanding of each area so that they possess some BS detecting skills = meaning a critical enough eye to identify terrible policy ideas, technology projects and or poor vendors and or CIOs. In this chart DPI-662 serves as a primer course that explores into each of these areas. The course directly above it are design to do deeper dives into the discrete foundational topics. 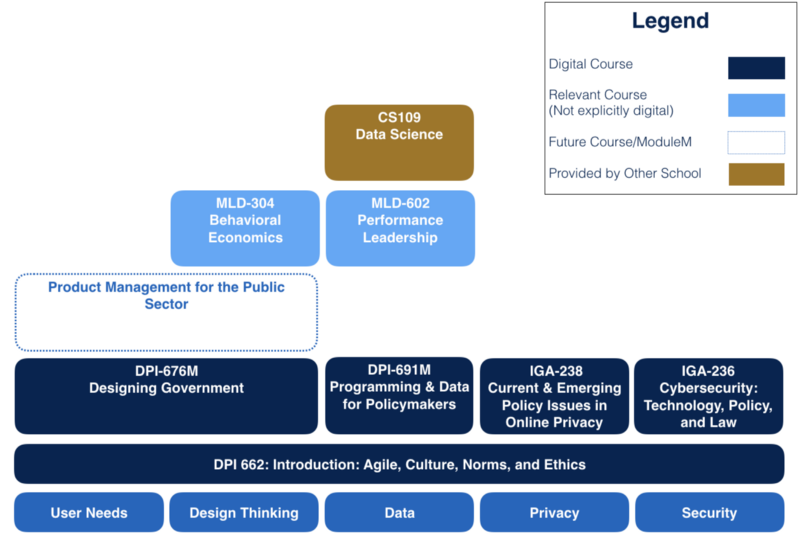 DPI-662 is not a required prerequisite for any of the courses, but it is likely to prove very helpful for those new to these topics and help provide a policy and government lens who arrive at the school more experienced in digital issues. With that in mind we offer DPI-662 in the fall and most of the other courses in the Winter and Spring terms. This view is to help those who are confident a certain topic?—?say privacy?—?will be critical to their career can drop directly into Jim Waldo’s course while a different student may emerge from DPI-662 inspired to learn more about design thinking and could thus explore Dana Chisnell’s course. CS-109 is not for the faint-hearted. It assumes that you know (or can quickly grasp) some python, but it is probably the most relevant course at the school of Computer Science. I would definitely discourage you from taking CS-50 while at Harvard Kennedy School?—?the opportunity cost is simply too high. For students unsure what mix they should explore I suggest two things. First, consider DPI-622 as it will provide the “Royal Sampler” and second, feel free to reach out. I’m happy to chat this through with you. If we take an alternative view and start with possible careers as the organizing approach a different set of courses emerge. For the above courses, I would encourage you to think about which of the courses in the first chart would help you get the most of out these. For example, IGA-240 and 273M both have significant security implications so taking IGA-236 before hand, while not essential, will likely be helpful. The school has managed to put together a great area of courses in the last 18 months. I’m very excited about Nicco Mele’s Media and Journalism in a Digital Age and The Internet and Political Campaigns. These are long overdue courses and he’ll bring great insights to both. Eric Rosenbach is back at HKS and will be teaching a course based on his experiences at the Department of Defense. Preventing Digital Disasters was my top rated course last year?—?in it we explore why technology projects so frequently fail by doing a deep dive into the Healthcare.gov debacle. Given that a large number of policies and programs touch digital infrastructure this is increasingly relevant to a broader audience. Again, for prospective students this post and these diagrams are to help you organize the course offerings along a digital theme. For some students (say you are focused on Climate Change) it is possible that no or few digital courses make sense, for others (say you are focused on the delivery of a government service) then taking a few is likely quite important. The goal here is to help you map what knowledge and skills the courses can provide you. Also, if you have thoughts about courses you believe are critical, but are missing from the above charts please do reach out. You can reach me here. I look forward to meeting new and returning students soon?—?please do reach out with feedback and questions. See you in the coming weeks. This is part of a series of pieces (full series here) about how I am wrestling with how to teach about digital technologies at policy schools. If you are interested in more you can follow me on Medium and Twitter, or read my personal blog here. David is a lecturer in public policy at Harvard Kennedy School and faculty director of digital HKS.